The Missouri House has voted to change the state's laws about workplace discrimination. In a 95-59 vote Thursday, the House passed legislation that would change the legal standard people must meet when alleging in a lawsuit that they were fired for discriminatory reasons. The bill now goes to the Senate. Missouri lawmakers have endorsed legislation intended to limit lawsuits against large-scale animal farms. Bills given initial approval Wednesday in the House and Senate would affect nuisance lawsuits against the owners of land used for agricultural purposes such as animal or crop production. 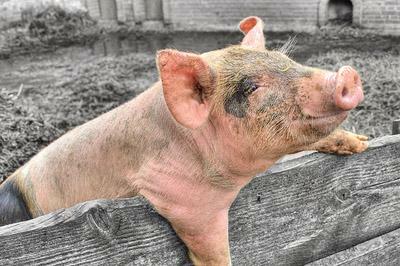 Numerous lawsuits have been filed in Missouri in recent years alleging that odors from large barns of hogs are a nuisance to neighbors. Missouri House members have voted without dissent to require information about the governor's travel to be posted on a state website. A House committee has voted along partisan lines to advance a proposal eliminating Missouri's income taxes and replacing them with a higher sales tax. 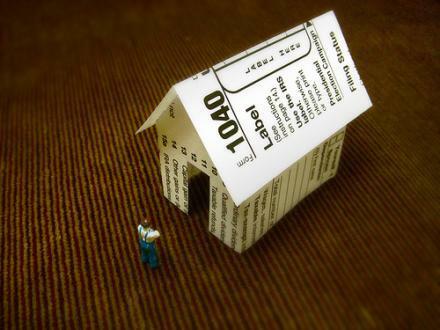 The vote Wednesday by the House Tax Reform Committee marked the first step toward moving the so-called "Fair Tax" proposal to the 2012 statewide ballot. All the Republicans on the committee voted for the measure and all the Democrats opposed it. A Missouri lawmaker wants organizers of initiative petitions to collect signatures from all of the state's congressional districts before their measures go on ballots. 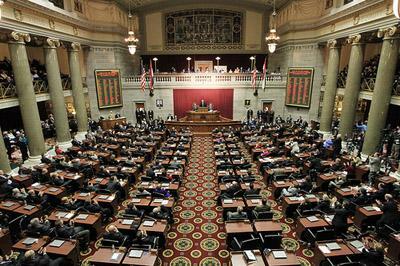 A proposal seeking a constitutional convention to allow states to repeal federal laws has divided some conservatives in the Missouri House. The resolution by Jefferson City Republican Jay Barnes urges Congress to call a convention to draft a constitutional amendment allowing states to repeal federal laws, if two-thirds vote to do so. But debate stalled on the measure this past week without reaching a vote. The Missouri House has given first-round approval to legislation that would return control of the Metropolitan Police Department to the city of St. Louis. The department has been under state control since the Civil War. Two bills making their way through the Missouri House would target bullying in public schools across the state. State Representative Sue Allen (R, Town and Country) is sponsoring one of them. It would require all K-12 schools to issue a statement prohibiting bullying and to install procedures for reporting and investigating incidents of bullying. The Missouri House has passed a bill that would place diseases contracted on the job under the state's workers' compensation system. Currently, workers who've contracted illnesses such as Black Lung disease and Mesothelioma are ineligible to receive workers' comp benefits, but they can can sue their employers in circuit court. Missouri House members have endorsed legislation designed to undo unexpected fallout from changes made six years ago to the state's workers' compensation system. 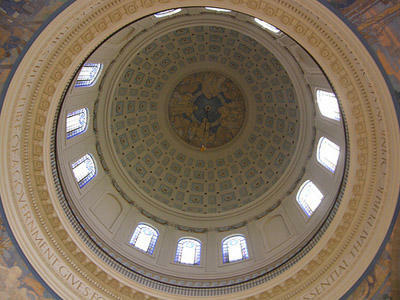 Lawmakers in 2005 approved changes to Missouri's workers' compensation system to establish tougher standards for an injured Missourian to qualify. Not all of the changes have gone as planned, and lawmakers this year are considering bills to tweak some of them. 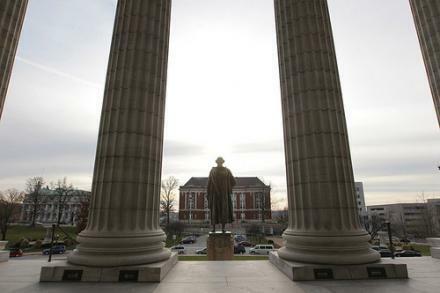 A resolution that would launch a new attempt to add a balanced budget amendment to the U.S. Constitution has passed a Missouri House committee. The measure is sponsored by State Representative Dwight Scharnhorst (R, Valley Park). 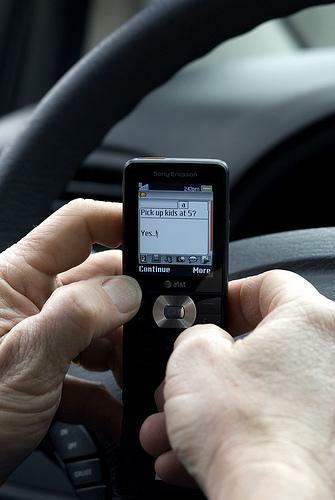 The Missouri Senate has given first-round approval to legislation that would expand the texting-while-driving ban to all motorists, not just those ages 21 or younger. Although the bill passed, some senators opposed to the ban attached two amendments that have nothing to do with texting-while-driving, in an effort to kill the bill. But both were vehicle-related, so supporters changed the bill's title to include various topics related to motor vehicles. Missouri lawmakers are considering two different options for enticing people to pay overdue taxes. A tax amnesty proposal presented Thursday to a House committee by Republican Rep. Tom Flanigan, of Carthage, would waive all interest and penalties for delinquent taxpayers who pay up between Aug. 1 and Oct. 31. 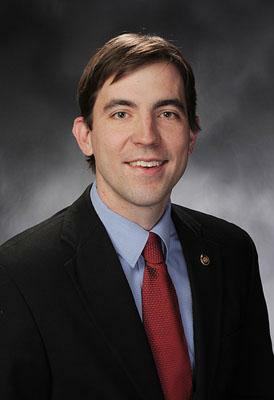 The Missouri House has given first-round approval to legislation that would require drug testing for some welfare recipients. 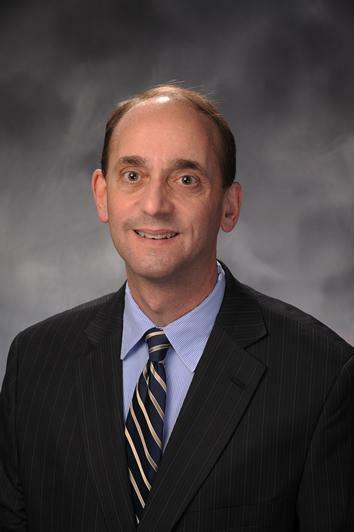 The bill would require work-eligible recipients and applicants of the state's Temporary Assistance to Needy Families (TANF) program to pass drug tests in order to receive assistance. The recent move of Missouri House of Representatives members to vote in favor of continuing to allow smoking in their Capitol building offices has drawn some criticism - in the form of a formal complaint. Rossie Judd of Fenton, Mo. has filed an Americans with Disabilities Act complaint against the policy, saying in her complaint that it denies her "meaningful access to the House of Representatives" as a result. 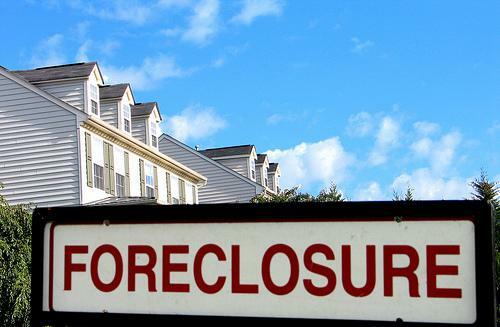 Foreclosure activity in the St. Louis area hit an all-time high in 2010. The St. Louis Post-Dispatch reports that according to figures released by the data firm RealtyTrac, one in every 57 houses in the 17-county St. Louis region received at least one foreclosure filing during the year. The filings are up nearly 12 percent from last year and slightly above the previous records in 2008. The Post-Dispatch reports that these figures come despite billions of federal dollars poured into mortgage modification programs in the past two years, and despite the relatively stable housing market in St. Louis. Missouri House members are preparing to start work on a new congressional map that will have only eight districts, down from the current nine. U.S. House districts are redrawn every 10 years to reflect changes in population based on the census. 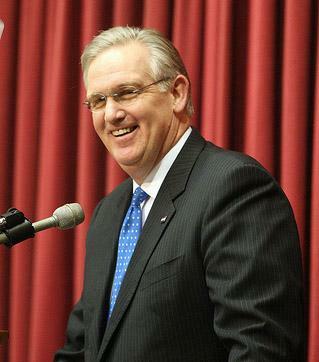 The U.S. Census Bureau announced last month that Missouri will lose one seat in the U.S House. The eight districts are the fewest for Missouri since the census of 1850. The state Legislature is responsible for drawing the new congressional districts and will approve them just like any other legislation. A special House committee on redistricting scheduled an organizational meeting Thursday morning, with no plans to take public testimony. Missouri farmers took in a smaller harvest last year of some of the state's leading crops, Missouri Agricultural Statistics reports that corn production totaled 369 million bushels in 2010, down 17 percent from the previous year. Soybean production totaled 210 million bushels, down 9 percent from the 2009 crop. Hay production fell 7 percent compared with the previous year. And grain sorghum production reached its lowest level since 1955. But harvests did rise last year for cotton and rice farmers. Rice production, in fact, broke the previous state record set in 2005. 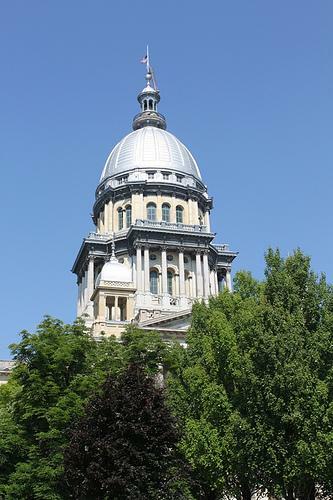 Democratic Illinois lawmakers have approved a 67% income-tax increase in a desperate bid to end the state's crippling budget crisis. Legislative leaders rushed early Wednesday morning to pass the politically risky plan before new General Assembly was sworn in at noon. The increase now goes to Democratic Gov. Pat Quinn. He supports the plan to temporarily raise the personal tax rate to 5% from the current 3% rate. Corporate taxes also would climb.